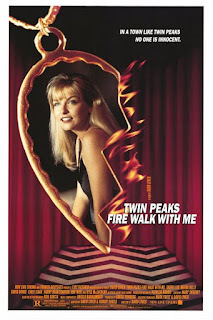 Twin Peaks: Fire Walk with Me is a a David Lynch-directed John Hughes high school teen comedy which oscillates seamlessly between Buñuel's surreal psychological horror and Sirk's smart suburban melodrama. Lynch is the master of cinematic duality. He shows us the screen, then he takes us below and shows us the world beneath the screen. All of his films give us two realities which are diegetically separate but thematically connected. This structure is most obvious with Mulholland Drive, where Naomi Watts appears to wake up from a dream halfway through the movie, but it can be found throughout his work from Eraserhead (the man in the planet & the lady in the radiator vs. Henry Spencer & Mary X) to Inland Empire (Niki Grace vs. Susan Blue). This metaphorical symbolism basically boils down to the above/below juxtaposition illustrated with such simple elegance in the shot from Blue Velvet which begins above on "perfect" white-picket-fence suburbia and dives below the green grass into the grimy world of mud and insects that lays beneath. Yet, for all its structural simplicity, Lynch uses this symbolism to illustrate the most profound (and often seemingly contradictory) truths about our lives. In Eraserhead, the waking hell shows us how everything can be fine in our imagined heaven; in The Elephant Man the monster on the outside disguises the warm, innocent inside; in Blue Velvet, absurd criminality underpins naive community. In Twin Peaks, perverse violence lies beneath rural decency. Laura Palmer's murder and her connection to the obscenity of its dark corners (Bob) are inextricably intertwined with the innocence of Donna (film) or Andy and Lucy (show). The common throughline between the thematic threads in all of Lynch's work is the dual dichotomies of reality/unreality and exterior/interior. It's tied together by the idea of (internal) psychological distortions which make unreality seem (externally) like the more real of the two. The clearest enunciation of this thematic kernel outside Lynch is Hitchcock's Vertigo (which I'm secretly convinced Lynch is constantly trying to remake): Jimmy Stewart has to lose the real Kim Novak before he can learn to love the fake Kim Novak. 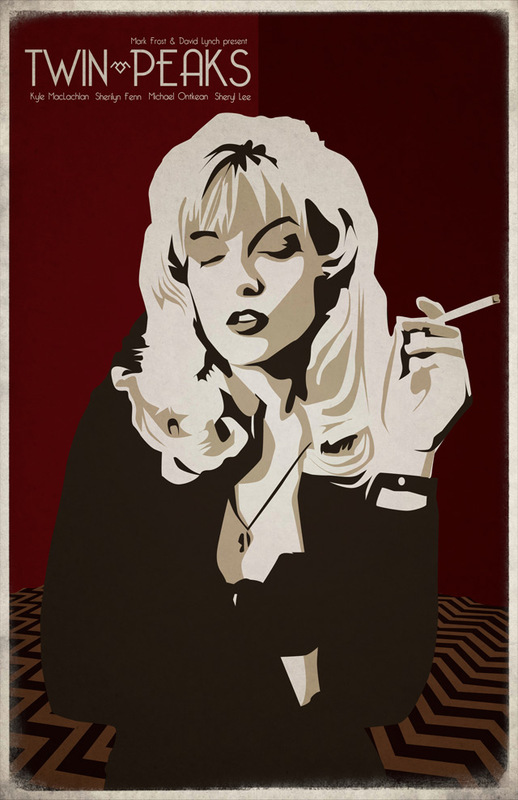 And perhaps this is why Lynch features so many women as both blondes and brunettes in the same movie (two halves of the same thematic whole): Laura Harring in Mulholland Drive, Patricia Arquette in Lost Highway, and now Sheryl Lee in Twin Peaks (as both Laura Palmer and Maddy Ferguson). In the show, Laura is unreal (dead) and below (buried), and yet she has a much bigger presence than the real, living Maddy. The entire series is structured around Laura's death, and Maddy only plays a small part in it. In the movie this is reversed: Laura is real again, but she is irretrievably consumed by evil (Bob). This reversal shows us the hidden underside of the characters' feelings about Laura in the show and also reconnects to Lynch's thematic exploration to show how their affection for her relies on a kind of disavowed knowledge of her evil side. They know there's a gross world of ants lying below the white picket fence, but they believe in its purity anyway. After watching both seasons of the show and capping off the experience with this semi-prequel, there are simply far too many things that I want to say about this world. My thoughts have formed together into a wall that seems even more impenetrable the more I hack away at it. I love the way Lynch uses the prequel: rather than simply showing the events leading up to the beginning of the show, he gives us a mixture of some material we knew from the show and some we didn't, and perhaps more importantly he gives it all a new context. He doesn't just connect the dots, he gives us more dots and then shows us how to look at them from a new angle. It's hard to describe because I imagine this is what every director sets out to do when they create prequels, but here Lynch actually pulls it off. "Twin Peaks: Fire Walk with Me is a David Lynch-directed John Hughes high school teen comedy which oscillates seamlessly between Buñuel's surreal psychological horror and Sirk's smart suburban melodrama." I love that opening description - just about perfect. 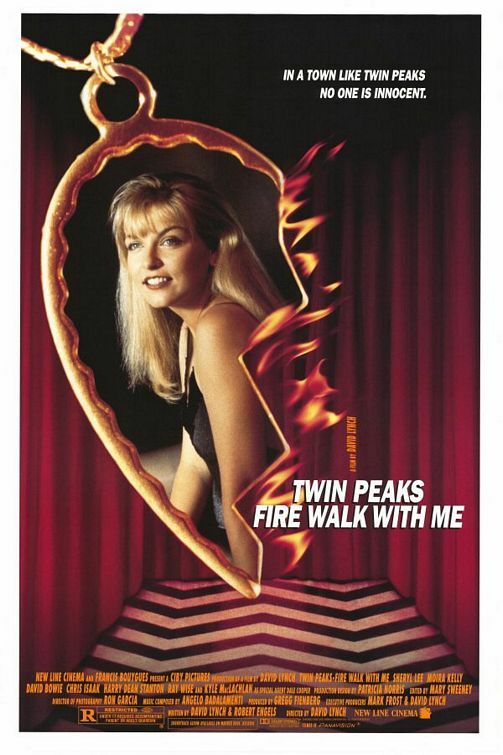 Fire Walk With Me defies a lot of easy descriptions, yet in a weird way it isn't so hard to wrap your head around while you're actually watching it because the experience is so visceral. Only afterwards do you really have to struggle to put together the pieces. I think it works really well on its own, but viewing it in light of the series adds a whole other, fascinating texture and dimension, because it feels so utterly different and not just in obvious ways. The series has a set mood and texture (well, maybe more than one, but there's a very specific vibe when Lynch is directing and/or the show is firing on all cylinders). The film ALSO has a set mood and texture. But those moods and textures are so very different from one another. If the film is a mindfuck I think it's more because of that difference than because of all the crazy garmonbozia/David Bowie stuff. It's this idea of "how can these two entities belong to the same universe?!" Yet they do, in the same way the dark/light and all the other dualities belong to the same universe in Lynch. If you're in for more Twin Peaks and/or Fire Walk With Me, I recently completed a video series which explores some of these themes extensively (especially when it comes to the movie). 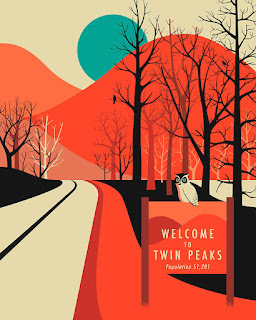 It can be found here: http://thedancingimage.blogspot.com/2015/02/journey-through-twin-peaks.html. Hope you enjoy if you feel like checking it out, and thanks for the excellent write-up. It's always nice to find people who appreciate one of my favorite films, especially one that has been underappreciated too often over the years. "I think there's also a sort of third level to what Lynch is exploring - the darkness, yes, the chaotic energies beneath that, yes, but also beneath that a greater unity that contains the above levels." I think you're exactly right, although I wouldn't necessarily call it a third level as much as just the fact that the two opposing ends f the duality were always connected to begin with. I think your connection to spirituality makes sense since Lynch is a well known fan of transcendental meditation, but personally I always go back to Hegel, who showed how every set of diametric opposites are also inextricably linked together (i.e. how we can't have happiness without sadness, light without dark, etc.). If you're a fan of film theory I'd recomend Todd McGowan's book The Impossible David Lynch; it's been a huge influence on me. Thanks for the link, I'll definitely try to check it out, and thanks for reading and commenting!